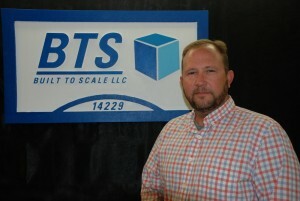 Matthew is the Owner and President of Built to Scale LLC. He and his wife Katrina Skinner bought Skinner Models from his father-in-law Randy Skinner in 2015. He has 25 years of combined experience as a land surveyor, construction engineer and superintendent in widely varying fields of construction. He and Katrina have been happily married since 2002. He also has a son Kristofer who works part time at BTS until he leaves for college in 2017. Jerrod has been a full time scale model builder for over 14 years. He has worked in the areas of Auto Cad, main frame scale model construction and fine detail work. 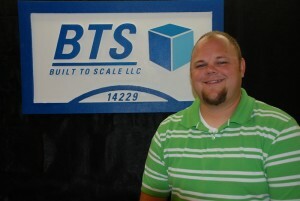 Jerrod now heads up the engineering here at BTS and concentrates mostly in 3D drafting and operating CNC controlled machines. He also has a talent for woodworking and helps build the furniture that the models are mounted on. He has been happily married to his wife Stacey since 2007 and they have 2 beautiful daughters, Natalie and Emily. 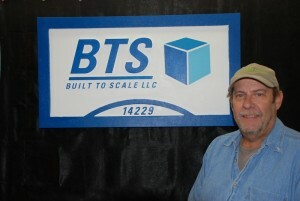 Bill is a senior craftsman and has been a full time scale model builder since 1990. He worked for Rust International Piping and Design Models for nearly 10 years. Bill also worked 12 years for Scale Reproductions, Inc. in the production of maritime models and 3 years for Scale Reproductions, LLC. 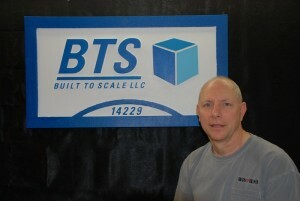 Now employed by Built To Scale LLC, Bill is extremely proficient in fine detailing of scale models. Mike was born in Hawaii, grew up all over the country and graduated from Foley High School in 1971. He joined the US Navy as a Corpsman and was Honorabley Discharged. Mike married a Foley High graduate in 1976 and is still happily married with 3 children and 4 grandchildren. He has 2 years of nursing college and spent many years in the food service industry. 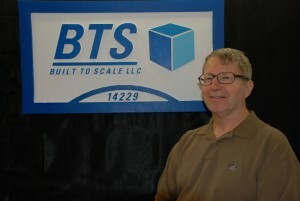 Mike joined Scale Reproductions (Randy Skinner’s original model company) in 1994 and worked in the area of main frame scale model construction and fine detail work. Mike took a year off in 2007 to assist the American Military as a postal worker in Afghanistan. He now works for Built To Scale LLC as the floor manager and fine detail craftsman. Ed was born in Latrobe, PA and grew up in Kansas City, Missouri. He is married with 3 grown daughters and 1 grandson. Ed moved to Alabama to attend the University of South Alabama as a graduate assistant. After six years as a high school teacher, Ed made a career change and began working for the Postal Service. He retired after 25 years as a Fairhope letter carrier and stumbled upon Skinner Models. He has always enjoyed building and working with his hands and doing small detail work. Ed moved to Scale Reproductions and is now working with Built To Scale LLC and is working in the area of main frame scale model construction and fine detail work. Alan Willcut is a Baldwin County native. He attended FHS and received an Associates Degree in drafting. He owned and operated Mobile Glass for 33 years and has always enjoyed working with his hands, especially on the farm he grew up on and still owns. He has been married to his beautiful wife Beth since 2000 and has a grown son and new grandson. Stephanie was born and raised in Murray, Kentucky. She later moved to Missouri and finished high school in Georgia with a brief stay in Texas before landing in Fairhope, Alabama. She has a delightful son named Joshua. Stephanie has been with the company for two years and has a BFA in Arts and Sciences (Theatre-emphasis in Scene Design) from the University of South Alabama. 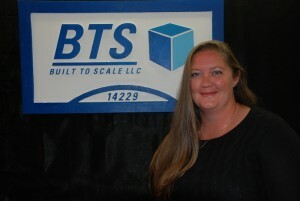 Through making models for set designs at South, she acquired the Auto CAD and design skills used day to day to design 2d parts for our ship models as one of our engineering techs.